Krasnaya Polyana | Krasnaya Polyana | Ecosign Mountain Resort Planners Ltd.
Ecosign has played a key roll in the evaluation of the Caucasus Mountain Range for the Federal Government of Russia commencing in 2000 when Ecosign completed an overall study of the entire area for the Russian Cabinet and Mr. Victor Khristenko, then Deputy Chairman of the Russian Federal Government. 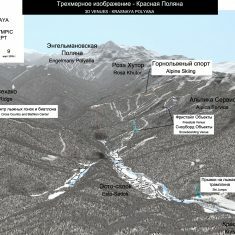 Ecosign studied an area of approximately 40,000 sq/km of the North Caucasus and identified the Mzymta River Valley and the mountain village of Krasnaya Polyana as the best potential for the Russian Federation to concentrate investments in infrastructure and touristic facilities in the Mzymta Valley near the City of Sochi on the Black Sea. We were subsequently hired by Interros Holding Company, Moscow and associated with AMR Baugesellschaft GmbH to complete a Technical Assessment of the entire Mzymta River Valley which covered an area of 420 sq/km. 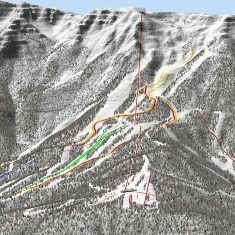 The initial study identified seven different areas which could be developed for Alpine Skiing and Snowboarding with capacities ranging from 1,300 visitors at one time up to a high of 30,720 skiers and boarders at one time. After completing Phase I we moved forward to prepare generalized concepts for three of the preferred areas. 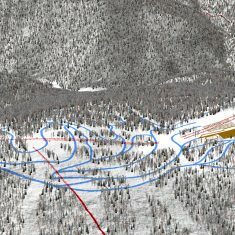 Subsequent to this work, Interros decided to proceed with development of the Rosa Khutor project and Ecosign was awarded the contract to prepare a total resort area master plan of that site. Simultaneously, Gazprom, the huge Russian Energy Conglomerate hired Ecosign to prepare a Master Plan of Psekhako Ridge. Both of these projects have been built or are in construction according to Ecosign specifications. 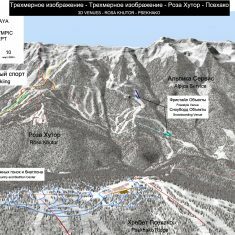 In March 2005, the Russian Olympic Committee and the Federal Government requested Ecosign to prepare an assessment of the potential for an Official Bid for the Olympic Winter Games for 2014. Ecosign drew up the plans which became the basis for the successful bid for the Sochi 2014 Olympic Winter Games.